As we head into week 2 of the 2018 football season, many fantasy football players are looking to fill holes in their roster caused by injuries and poor performances in week 1. 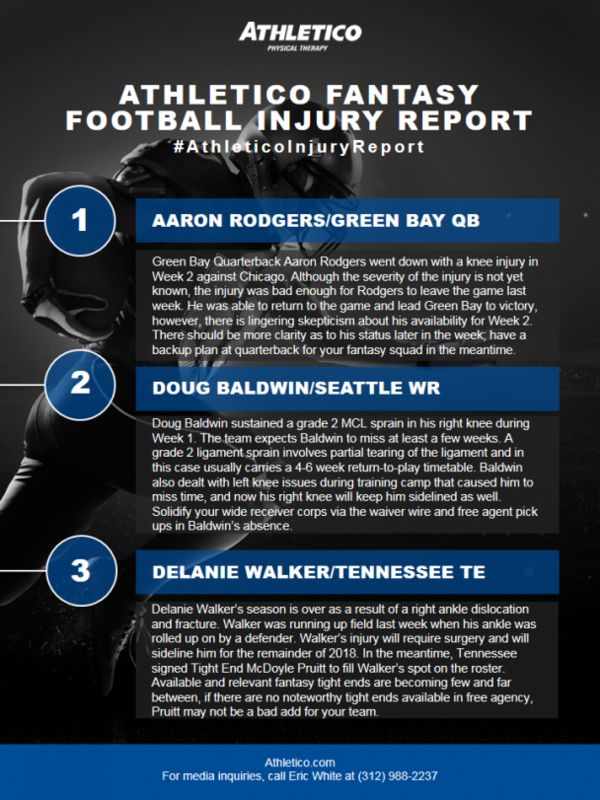 To help fantasy players improve their starting lineup, Athletico’s Brandon Bowers, PT, DPT, is highlighting notable injuries with the Athletico Fantasy Football Injury Report. This roundup helps fantasy owners decide who they should sit and who they should start.